We supply custom molded parts to original equipment manufacturers (OEM's), as well as smaller distributors who draw on our expertise in sourcing these products. Custom products like gasket seals, seals and o-rings offer the option of more complex designs that facilitate solutions to problems where “off-the shelf” parts fail. Assistance in moving your project from concept to production. Competitive prototype and production tooling costs. Custom parts in virtually any rubber material. All Seals trained technical staff can assist you with your material selection process. We offer a vast array of custom materials to meet specific chemical resistance, color, or physical property demands. Prototyping of experimental designs is our specialty. All Seals offers a variety of rubber molding solutions. 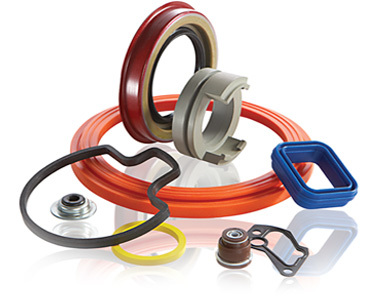 All Seals stocks thousands of compounds to use in custom rubber applications. All Seals has a variety of molding techniques for domestic and global applications.